Well, it's been a while, but we're happy to be back on the blogging track! Today we're officially introducing a product that has been on our shelves for a few months and has already had quite the response from our customers. 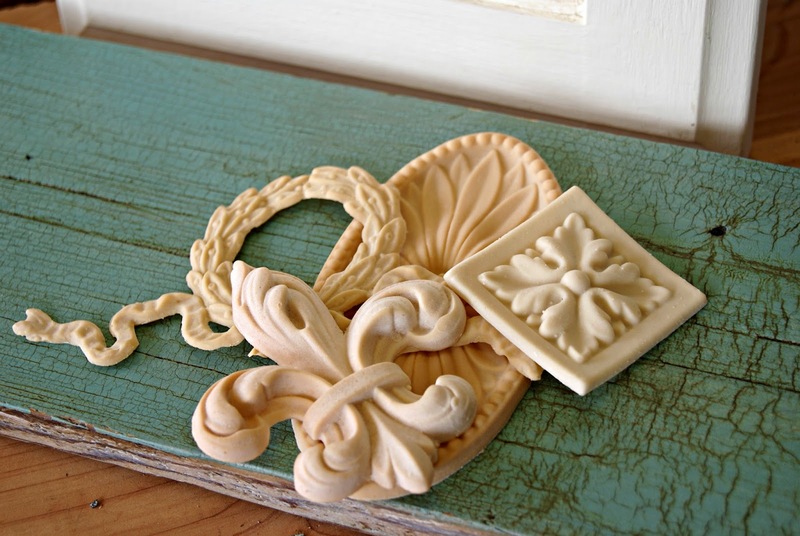 Efex™ Decorative Latex Appliques are produced from original plaster moldings taken from pieces in England and France. Produced in New Zealand, they're the perfect way to add old world charm to furniture, walls, doors mirrors, frames, and more. 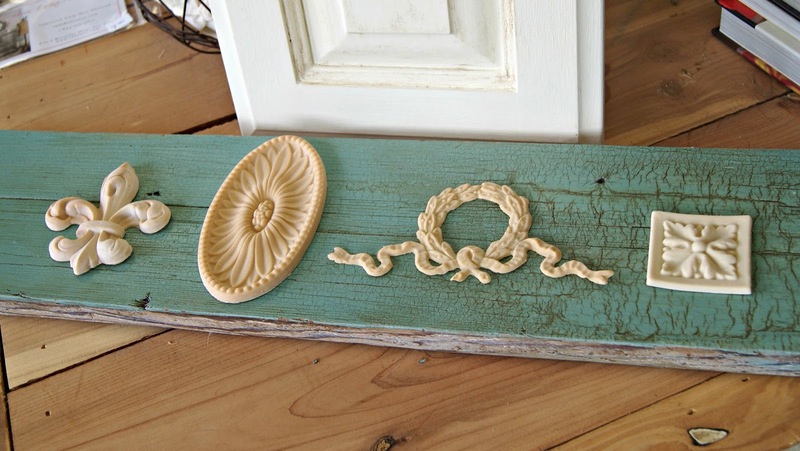 Not only are they beautiful, Efex™ moldings are amazingly easy to work with. Most traditional appliques are inflexible, requiring a flat surface or filling gaps after they're applied. Efex™ flex to fit any surface they're applied to, which can include wood, plaster, metal, glass, and terracotta. All you need to apply them are scissors and contact cement. As soon as the cement adheres the latex to the piece, you're ready to go! 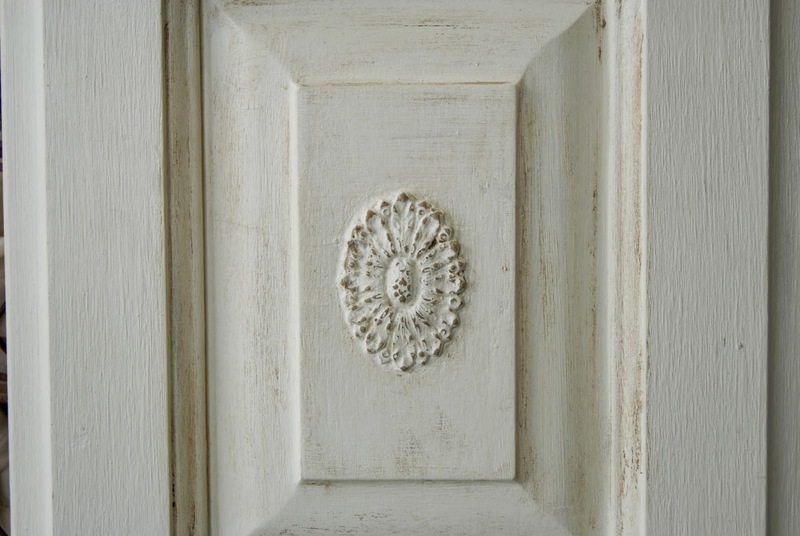 Efex™ is the perfect partner for CHALK PAINT­® decorative paint by Annie Sloan and our other artist supplies, since the appliques can be painted, stained, or gilded. We love their versatility and the character they add to the pieces in the shop. If you haven't had a chance to check them out, be sure to stop by and take a look! We're sure you'll love them as much as we do.